Even the UPSC exam that is usually considered to be the toughest of the tough in India can be cracked in the first attempt itself. However, the Indian Civil Services Exam requires a highly thoughtful preparation if you aim at cracking it in the first go and also score a rank high enough to get selected for what is considered to be the top most cadre i.e., IAS. It is not for no reason that the UPSC Exam is usually talked of as IAS Exam as well. UPSC conducts the exam every year. But only a few are able to clear it. However with the tips given below, you too, can join the list of the successful candidates in the first attempt itself. It only makes sense to stay poised. With a calm and relaxed mind, you would be able to prepare for the UPSC Exam in the best possible manner. Besides, the syllabus that UPSC prescribes for the Civil Services Exam is vast enough and diversified to the extent that it would not be unnatural even for a genius to get unnerved at the very thought of going ahead with the preparation for the exam that encompasses a hugely vast syllabus that seems to cover everything under the sun. And what if you are already employed or have any other duties or responsibilities to shoulder? In that case, how would you manage time enough to study all that the syllabus prescribes? By all means, it is best to stay poised and think of the best possible manner to prepare for the UPSC exam within the time that you have at your disposal. Do not allow your focus to waver from the topic you are studying at the time. It’s of no use to preoccupy your mind with the thoughts of what you have been studying earlier, say even two hours before. In order to achieve such concentration and focus on the subject that you are studying, it is best to break down the topics (that various Papers and subjects in the syllabus require you to study) into smaller units as you think would be suitable. Next, get hold of the suitable IAS study material. Or if you have joined a coaching centre or plan to join one, read the content for preparation for the exam. However, you may read the study material apart from what has been provided (if so required). Now begin with your IAS Exam preparation, studying one topic at a time. Focus totally on what you have been studying. Remember that your concentration should not be diverted. It is always advisable to make a time table and follow it sincerely. As already said above, you might already be employed or shouldering quite a few other responsibilities. Or you might still be completing your graduation (say in final year). It’s you who knows and understands how much of your time is consumed in various activities every day. So manage your time by making a time table so that you can prepare for the exam for sufficient time every day. Once you have made the time table, you should discipline yourself to follow it whole heartedly. Remember it is the quality rather than the quantity that actually counts. It is best to study the syllabus and pick up a few books and read them rather than hoarding a pile of books on your table. You might not be getting time enough to read the entire content, be it books, magazines, notes etc., that you collect. Remember that UPSC has prescribed a syllabus for IAS exam and you have to prepare accordingly. Though it is understandable that you might find a specific subject or a topic more interesting than others, it should always be kept in mind that going astray from the syllabus or even a little diversion from it will not be in your interest. It would only result into a waste of your time and effort. Though focusing on the reading is highly recommendable, you might be having quite a few queries or you may like to clear some doubts that may come across your mind while preparing for the exam. That explains why you need some time for interactive study as well. If you have enrolled yourself in a coaching centre, the faculty members would be there to solve your queries and clear your doubts. However, if you have opted for self study, consulting those who have already cracked the UPSC exam may help you with your preparation. Indulging in discussions and debating with those who have already faced the UPSC exam and the fellow aspirants may prove to be highly productive and qualitative. It is bound to equip you with various perspectives. Thus it would sharpen your skills to answer the question papers in the exam. Remember that apart from your knowledge of the subject, UPSC would assess your perspective of visualizing various issues, i.e., to say, how analytical, aware and alert you are! All these are the qualities that enhance the potential of an administrator! And aren’t you aiming at clearing the UPSC exam within one go and join the Indian Administrative Services? So group discussions should not be avoided. Sparing some time for the interactive study may help you in the long run in order to prepare for all the stages of the UPSC exam including the Prelims, Mains and the Interview. In case you have joined an IAS coaching cente, your faculty is likely to conduct the mock tests and evaluate it as well. It would give you a fair share of idea on what areas of preparation you still need to focus further. In case you have opted for self-study, you may make use of online test series for self-assessment. The evaluation of your test series is likely to help you in the preparation of the exam further. Besides, the more you assess yourself by means of test series and mock tests, the more confident you would feel while facing the exam. And one should not forget that confidence is believing in yourself, you can crack the exam in first attempt itself when you actually believe that you can do so! Making revisions is one of the best possible ways to retain in memory whatever knowledge and inter-related information you have gained while preparing for the exam for the longest possible span of time. And making the revisions frequently would help you do so better. Otherwise, what’s going to be the use of reading books, surfing the internet, going through the newspapers and magazines, participating in group discussions, appearing in the mock tests and mock interviews and/or solving the online test series and what not, if you forget most of what you have studied while actually answering the question paper in the UPSC exam? So it is advisable to revise, and revise as frequently as possible. Revisions should never be taken lightly. Though it’s true that you aim at cracking the UPSC exam in the first attempt itself and the preparation for the same requires a lot of hard work, it is only sensible not to be too hard upon yourself and be realistic. That is to say, spare some time for yourself. Do not bury yourself in the books (though the UPSC syllabus is quite vast) or turn into a recluse. Eat and sleep on time. Sparing a little time to relax and sleeping for 8 hours every day and nutritious meals are taken on time would rejuvenate you and you would find yourself studying better the next day. Though you have made revisions as frequently as possible and answered the mock tests and the test series, the fact remains that solving the previous years’ question papers is crucially important. Solve them repeatedly. Doing so once would not be sufficient. It would give you a crystal clear idea of how to compensate for any drawback that might be there in your preparation for the exam even now. Finally, it’s you who has to crack the UPSC exam. So, there’s no point at all in doing what others are doing or have been doing, even if quite a few of them happen to be the toppers themselves. It is only advisable to keep in mind that though there is no harm to listen to what someone advises you, but it’s you who knows what’s best for you. For example, do not opt for an optional subject simply because a topper did so! What if you neither have any background in the subject nor the interest to study the same? Make your own choices, but after considering all the pros and cons carefully. 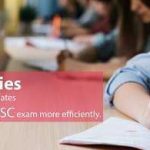 For More Information, Please Contact to Elite IAS – India’s Best IAS Coaching institute in Delhi for UPSC Exam preparation.